Home » News » OneKind is calling for a ban on the use of enriched cages for hens and farrowing crates for sows. OneKind is calling for a ban on the use of enriched cages for hens and farrowing crates for sows. Scotland’s leading animal campaigns charity OneKind is calling on the Scottish Government to ban farm animal cages including enriched cages for egg-laying hens and farrowing crates for sows. 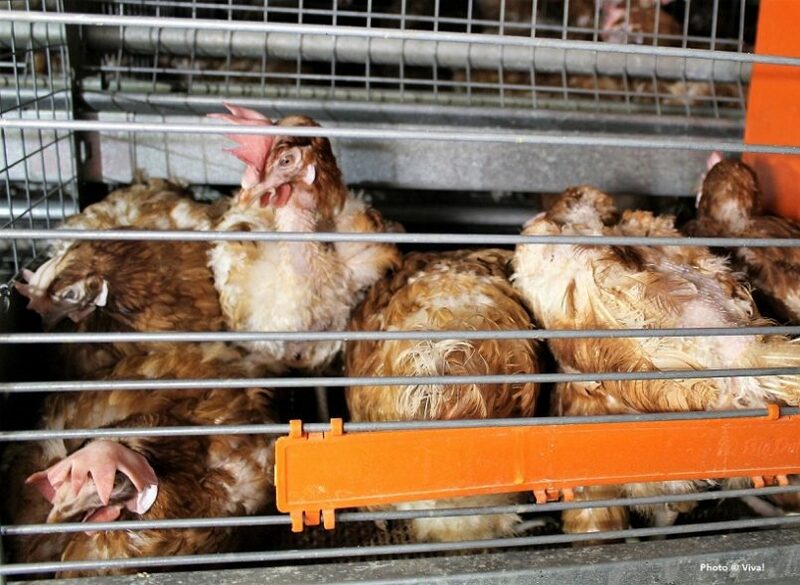 The conventional battery cage system was banned in Europe in 2012 and replaced by ‘enriched’ cages. Approximately 2 million hens in Scotland are still being kept in enriched cages which extremely limit their natural behaviour preventing them from being able to run, fly, or even experience fresh air and sunlight. The Quality Meat Scotland assurance scheme permits the use of farrowing crates to hold pregnant pigs from a week before their due date until their piglets are weaned at around 3-4 weeks. They are used to reduce piglet mortality by preventing the sow from accidentally crushing them, but severely restrict the sow’s movement so that she is unable to walk or even turn around. OneKind has today (Wednesday 17th April) launched a new petition calling for a ban on the use of enriched cages and farrowing crates in Scotland. It follows a petition by Compassion in World Farming calling on the UK Government to ban cages for farm animals, which OneKind supports. “Animal welfare should be a top priority for the agriculture industry, but the continued use of these cruel and inhumane cages causes real health and welfare problems. Read more about OneKind’s #BanFarmAnimalCages campaign here.